How much do people in Missouri bicycle? Is the amount of bicycling growing? How does MO compare with the U.S. and the world? This is a graph we often use in presentations to give a quick birds-eye view of that data, and how Missouri compares to the U.S. and the world over time. This morning was the groundbreaking ceremony for the long-awaited pedestrian addition to the Missouri River Bridge here at Jefferson City. . .
Deputies said that based on the initial investigation, the fire does not seem to be suspicious in nature. Deputies said crews were working on the bridge yesterday with metal cutting torches but an officials investigation will be conducted to rule out any suspicious activity. Trail supporters reacted to the fire with renewed energy and enthusiasm for the trail. Incidents like the fire underline the need to more forward with trail construction at the fastest possible pace. When MoBikeFed first approached MoDOT about including bicycling, walking, and trails in the statewide transportation plan in the early 1990s, MoDOT literally had no plans or guidelines for including bicycling or walking on its roads. Last week the Adventure Cycling Association--one of the world's largest cycling membership organizations--joined a cavalcade of groups from across Missouri and the nation who have written to Missouri State Parks in support of the Rock Island Trail. Have you completed the Missouri State Parks Public Survey asking for public input about whether or not to accept the next 144-mile section fo the Rock Island Trail? If not, please take two minutes to complete the Survey today--it will be open through August 31st. Many thanks go to everyone who attended the rally--from all parts of Missouri--and to those who traveled from towns across 190 miles of existing and prospective Rock Island Trail to tell how important the trail is to each and every community along its path. The Rock Island Trail is "an opportunity to create a future"
Liz Thorstensen, vice president of nonprofit advocacy group Rails-to-Trails Conservancy in Washington, D.C., said Rust Belt cities like Indianapolis, Minneapolis, Cleveland and parts of Pennsylvania and Maryland are being reinvigorated by investments in new bike trails that attract tourists and spur spending by local residents. Trails can help towns sell themselves as walkable, bikable and healthy communities to businesses, she said. Our outdoor resources are important tourism drivers. The most recent annual report from the Missouri Division of Tourism shows that 13 percent of the visitors to our state came to see our state parks. . . . .
Missouri is a leading trails state, with numerous statewide, regional, and local trails and trail systems. But many times, cities and towns along our trails do not reap the full potential economic benefits of their trails, because they have not yet fully developed into "trail towns". What is a trail town? MoBikeFed, the Missouri Rock Island Trail, Inc, and the Rails-to-Trails Conservancy are planning a rally in support of the Rock Island Trail on Friday, August 11th, at 8:00am on the South Steps, Missouri State Capitol, Jefferson City. Please RSVP here if you plan to attend the rally. Rally participants will gather 8:00-8:30am. Everyone who comes at 8:00am will receive a Rock Island Trail tshirt, and other cool giveaways. Speeches and the rally will start at 8:30am. The rally will end by 9:15am, when Missouri Active Transportation Summit participants can walk to the Summit at Jefferson City Hall, where Liz Thorstensen will be presenting the Plenary Address at the Summit at 9:30am. Liz Thorstensen, Vice-President of Trail Development with the Rails-to-Trails Conservancy in Washington, DC, and Trailnet CEO Ralph Pfremmer are the headline speakers for the second annual Missouri Active Transportation Summit in Jefferson City on Friday, August 11th, 2017. The Summit is an excellent opportunity for city and agency staff, organizations that support bicycling, walking, and trails, and citizens who want better walking, bicycling, and trails in their communities to gather together and learn from each other--and from our nationally recognized headline speakers. The Summit runs 9:30am-5:00pm on Friday, August 11th. Registration is just $20--we have been able to keep costs low thanks to generous support from the Jefferson City and the Missouri Department of Health and Senior Services. Michael "Casey" Saunders, 1987-2017: Beloved Missouri cyclist and "Honest Racer"
Beloved and tenacious Missouri bicyclist and racer Michael "Casey" Saunders, 29, passed away Sunday as the result of injuries suffered at the Tour of Kansas City Criterium that day. We are deeply saddened by the passing of Casey Saunders at Sunday's race. His life touched so many in Missouri's bicycling community. Our thoughts are with Casey's family, friends, teammates, and the many who knew him, raced with him, or followed his race career. Saunders started racing when he was 15 years old. He worked his way up through the ranks and was competing at the top level among professional cyclists. He was working full-time as a bike mechanic at Big Shark Bicycle Company in St. Louis and racing on the weekends. Although he did a lot of road racing, Saunders also competed in cyclocross and mountain bike races, as well as track racing at the Penrose Park velodrome in St. Louis. 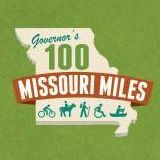 Ameren is set to donate 144 miles of Rock Island Trail corridor to Missouri State Parks by the end of this year, to become Missouri's SECOND cross-state trail. ----> One simple message: "Please accept the Rock Island Trail." But--Gov. Greitens and State Parks leaders have recently said the Governor and State Parks are UNDECIDED about whether or not to accept the trail--a gift to the state worth many millions of dollars. The survey was created to help State Parks make his final decision about the Rock Island Trail.